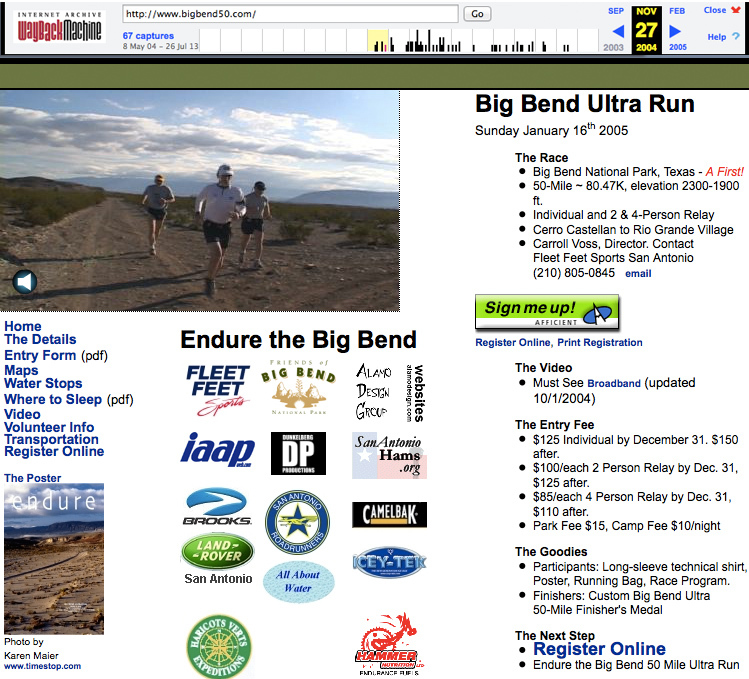 The first Ultra Run in Big Bend National Park was organized by Carroll Voss and a dedicated crew of volunteers in 2005. 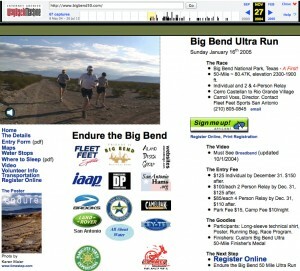 It was 50 miles, and was the first organized ultra to be held in Big Bend National Park. We had about 100 runners, and it was a huge success. Logistics prevented us from having another 50 mile event, since the return path off the runner’s course was WAY out of the way. In some cases, it was an hour and half drive back to camp. In the years since, the “Big Bend Ultra” or “Big Bend 50” or sometimes some other variants has become the go-to event for hundreds of runners, their families, and volunteers who make it all possible.